What was the first thing you did this morning when you woke up? If you are like 80% of smartphone users you likely checked your phone before you even brushed your teeth (IDC Research). Over the last several years mobile has aggressively grown. As of January 2014, 90% of American adults own a cell phone (Pew Research, 2014). This might explain why a 2014 Forbes article was entitled Mobile is the Future of Everything. In 2015, mobile media overtook desktop and other traditional media as the preferred source (Smart Insights, 2015). The mobile future is certainly exciting, and one of the most fascinating developments is that it no longer exclusively belongs to the younger generations. Research shows that all demographics are now using mobile. In Canada, about 61% of seniors (those 70 and over) own a cell phone, while 13% own smartphones (Media Technology Monitor, 2015). In the United States, 68% of Americans in their early 70s go online and 55% have broadband at home (Pew Research Center, 2015). Some 56% of internet users ages 65 and older now use Facebook, up from 45% who did so in late 2013 and 35% in late 2012 (Pew Research, 2015). This shift didn’t just happen. North American newspapers have been struggling since 2000 - around six years ago! In 2014 newspapers hit another low as “...print ad revenues are now the lowest they've been since 1950, when the Newspaper Association of America began tracking industry data. Again, that's 1950, when the U.S. population was less than half its current size and the economy was about one-seventh as big.” (Moneybox, 2014) Clearly the present is already digital and mobile, not just our future. So why in this increased and broadened digital horizon are organizations still investing in a printed newsletter? It’s an important question and there are two sides to every story. But what happens when you are a nonprofit on a limited budget, with a responsibility to show the clear value on every dime you invest? In this world, line items are simply not enough when your budgets are restricted and every dime you spend needs to make an impact. Printed newsletters are not cheap. Not only do you have to invest in resource time including a designer and content contributor, but you also have to pay for the print and distribution. At the end of that expensive exercise, you will not have the same level of meaningful engagement that you could have if you were using an online solution that allowed every click to be tracked and assessed. Let’s look a real-world scenario. An organization decides they want to print a newsletter to go out to 10,000 people every quarter. Their budget is about $3,000 per newsletter for the printer and distributor. Over the course of a year, they spend $12,000 on print and distribution plus at least another $3,000 of someone’s time coordinating the project. That is $15,000 on a communication piece that might get read, or just as easily become bird cage lining and fire starters. The point is, with print you cannot have the same level of confidence and definitive answers that you can get from a mobile solution. Additionally, it doesn’t necessarily help strengthen the relationship with your constituents. At InspireHUB, we teach that to increase engagement you must work at “making good friends.” This means that you must have regular and frequent touch points that allow the other person to truly engage with you. Imagine if you had a friend in your life who dropped you a letter four times a year and then offered you a link to a survey as the only option to speak with them. How strong would that relationship actually be? Now imagine instead, providing a way that allowed your friend to communicate with you regularly, to post their own replies, give their opinions on important issues happening in your life, quickly RSVP to events you host, and have a place you both could share and follow topics of mutual interest. With progressive web apps you can do all this, and because they don’t require a smartphone to access it you can be confident that you are reaching the broadest amount of people possible. All you need is an internet connection, a basic browser (which most cell phones come with standard) and a real desire to truly engage. Google announced in 2015 that Progressive Web Apps are the Future. It’s a new term but it won’t be for long. To be clear, a progressive web app is not a native app and it most definitely is not a mobile-optimized website. Google Engineer Alex Russell explains, “progressive web apps start out as tabs in Chrome and become progressively more ‘app’ like the more people use them.” This progressive approach is also why web apps are being seen as more trustworthy as the use of the app earns the attention of the user. Unlike native apps today that take up valuable storage space on your phone and require you to download just to look around, web apps use your browser. If you are considering building a web app then it is equally important you understand the importance of human behaviour on driving engagement. First and foremost, your web app must have a utilitarian function. People must be able to do something useful and necessary. The main reason many apps go abandoned is they served no practical function. While your organization is of top importance to you, it is important to remember that no one (not even you) has an appetite to download an app that’s sole purpose is marketing. Even your most trusted supporters will grow weary if they can never engage in a truly meaningful way. If you create a web app that makes it easy for people to actually do things with you this changes the engagement level. Can they sign up to attend a meeting, volunteer, give their opinion, vote on an important decision, easily donate, etc.? By making your engagement tool about two-way engagement instead of pushing information out the door in a print piece, you will begin a dialogue even when constituents are simply looking around your web app. This is where your nonprofit can see a strong return on investment. Every action is tracked on a web app, even by anonymous visitors. Imagine being able to know what stories are attracting attention, what spokesperson drives more donations, and what topics or projects are hot spots. It is not guesswork and a hope that your dollars are being put to work, but rather tangible data that can be used to create value for your organization. 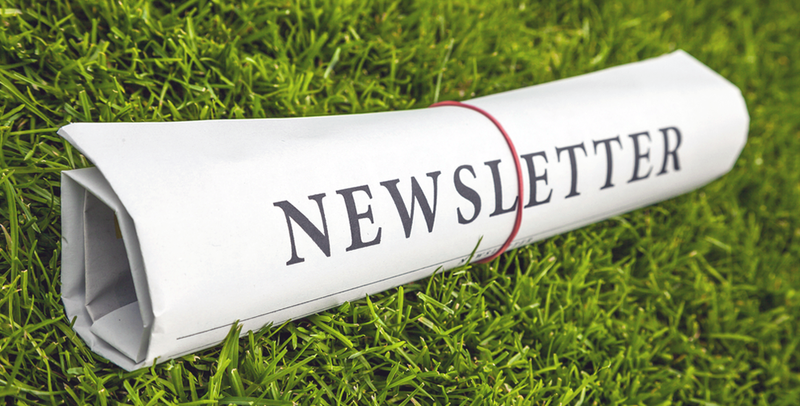 Unfortunately, no matter how nostalgic you feel towards your newsletter the reality is that when you create a newsletter you are signing up for a certain percentage of waste. Even if you use all the marketing tricks in the book to try and get people to engage with you from a newsletter, it still is not definitive. The ROI of a web app on the other hand is tangible and worth consideration for your community, nonprofit or organization. What’s next? If you are interested in learning more about web apps you can download the FREE “The 2016 Future of Apps Whitepaper” from InspireHUB or learn about how your community can leverage a web app by visting www.inspirehub.com/mycity.